Kerala is a treasure trove of classical folk tradition and rituals of varied hues. Mudiyettu is one of the richest ritualistic traditions of Kerala. Since hoary past, people performed Mudiyettu as a celebration of winning over the evil with mythological story line. Ritualistically sacred space is created with the ancient drawings of Kalamrityam where image of deity is drawn, which symbolizes creation itself. Songs, ritualistic performances, effacing of the drawings has been documented in this film. Elaborate creation of the Kolams invokes the spirit of the deity and Mudiyettu is performed in this space to re-enact the mythology in the ‘Now’. The documentary highlights two styles of Mudiyettu with the blend of the folk play within the classical grammar of its dance form, sacredness and ritualistic originality. 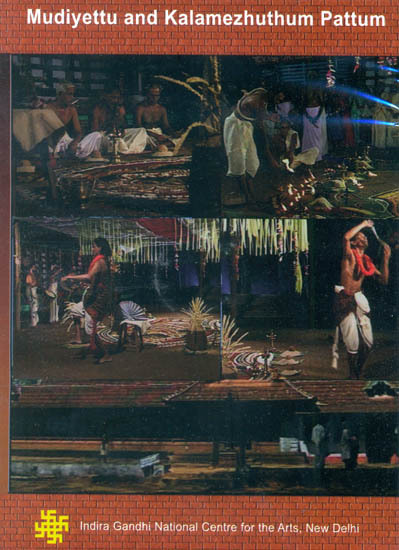 Chenda, Maddalam, Kuzhala, Llatalam are some of the instruments which accompany the performance. Thus in short Mudiyettu is re-discovered through its process of ritualistic nuances and excellence of performance.